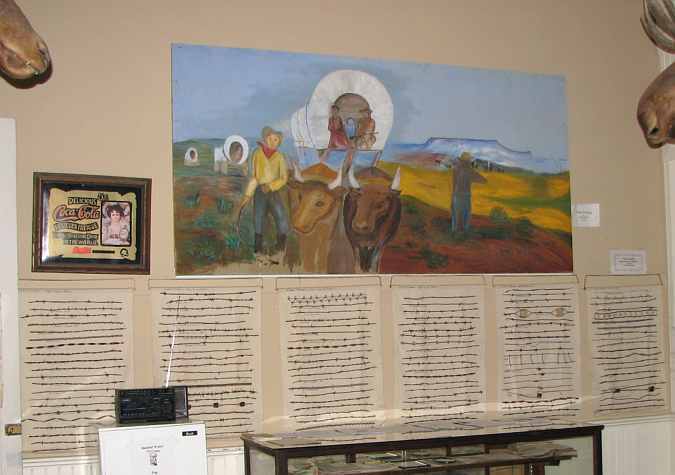 The Butterfield Trail Museum occupies the beautiful, former Logan County Courthouse, in Russell Springs, Kansas. Russell Spring was the county seat for Logan County from its organization in 1887. Efforts to move the county seat to Oakley were defeated in 1937, 1945, and 1960. but, in 1963, Russell Springs lost the election, and the county offices were moved to the larger community of Oakley. 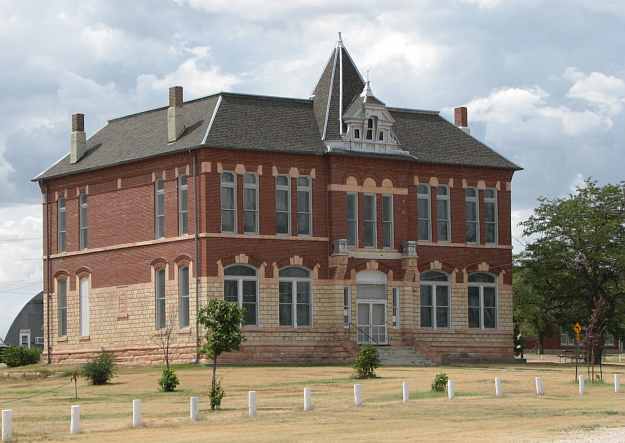 The Logan County courthouse in Russell Springs was built and dedicated in 1887, and officers moved into the building in January of 1888. It was still in use until the county seat moved away. 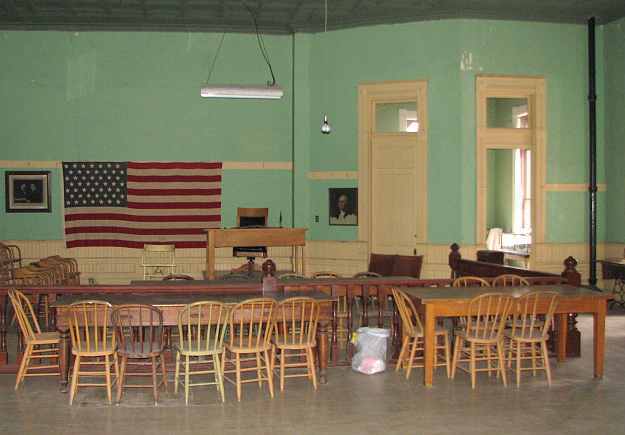 It was thought that the building would be demolished, but a local historical association first met in the fall of 1964, and the former Logan County courthouse became the Butterfield Trail Historical Museum, opening on September 5, 1965. 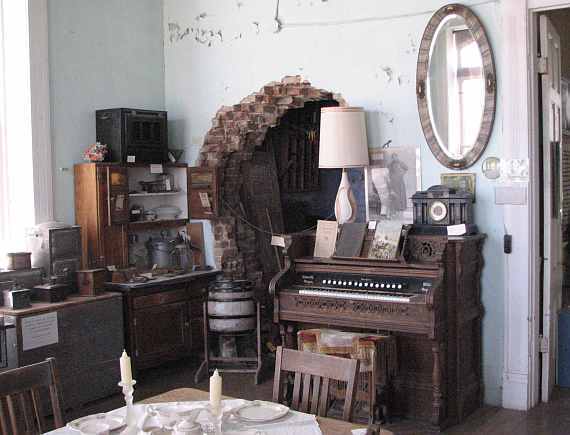 Some portions of the museum are just collections of stuff that belong to local residents, but I found two areas to be of special interest. 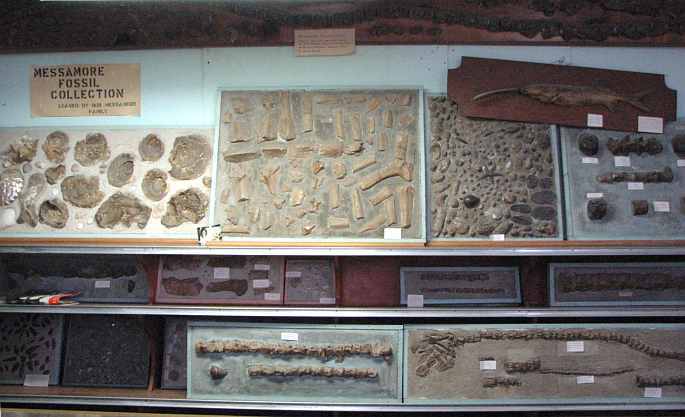 The Messamore Fossil Collection, and the court room. All of the fixtures were left when the court moved to Oakley, and the court is a 45 year old time capsule. The biggest event of the Historical Association is the annual Butterfield Trail Ride. The first Trail Ride was held on Sunday, May 7, 1967. Early each summer, there is a two day event starting with a ride or walk of 10 to 12 mile section of the Trail, ending with a stay in Russell Springs for the night. The following day, there is a short ride followed by the Trail Riders Rodeo in the afternoon. 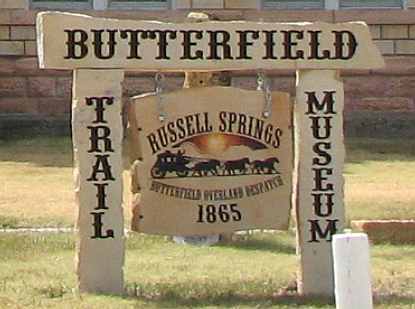 The ride is free, but donations are accepted on behalf of the Butterfield Trail Museum and Historical Association. 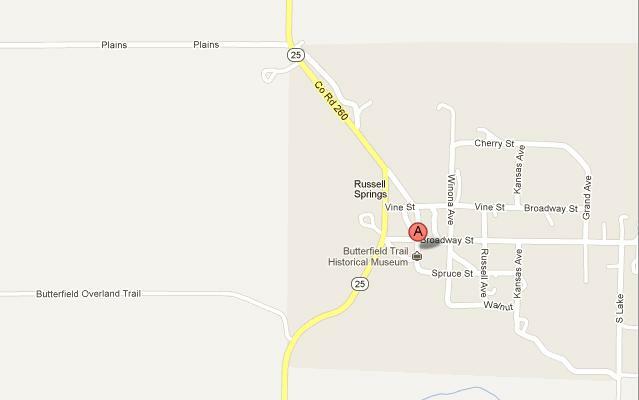 Long hours or days may pass between visitors coming to the Butterfield Trail Museum. I admire the dedication that the historical association shows in preserving and keeping the museum open even the limited number of days of the year that they do. The hole in the wall is where the safe was removed when the county seat moved. 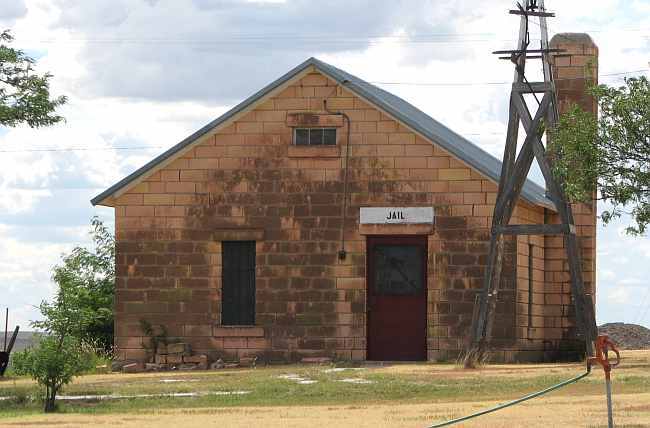 Former Logan County jail, next to the court house.